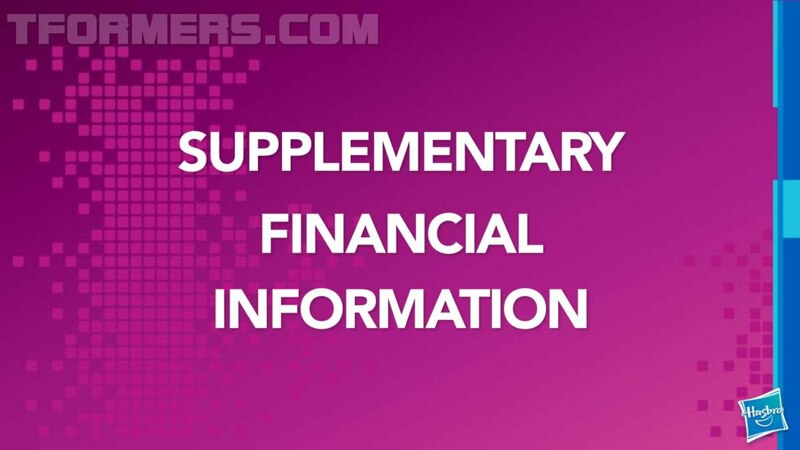 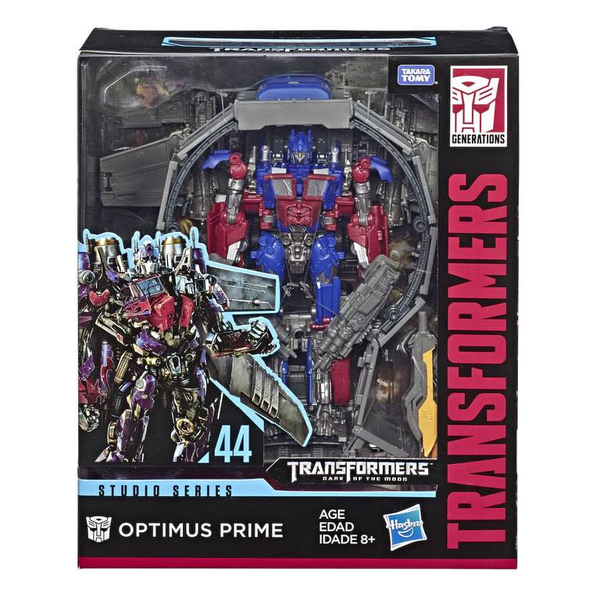 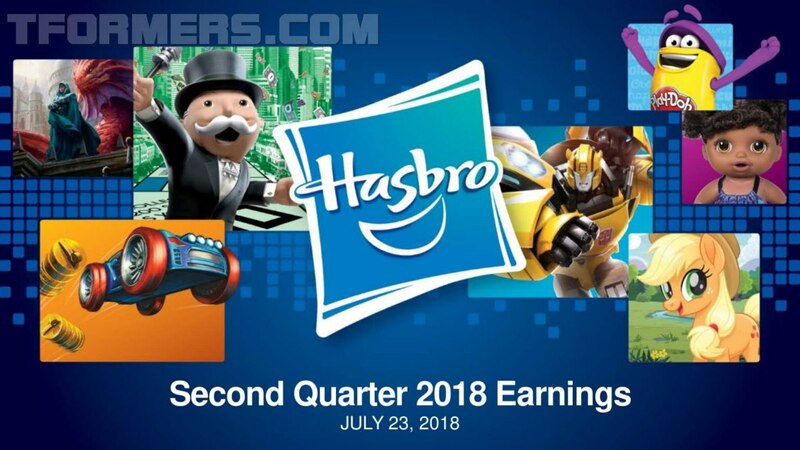 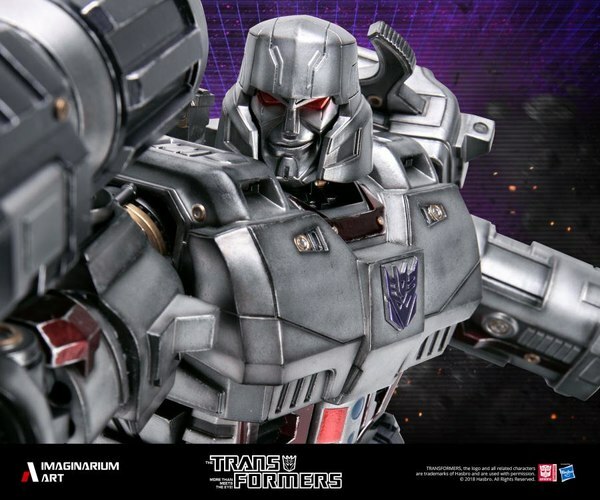 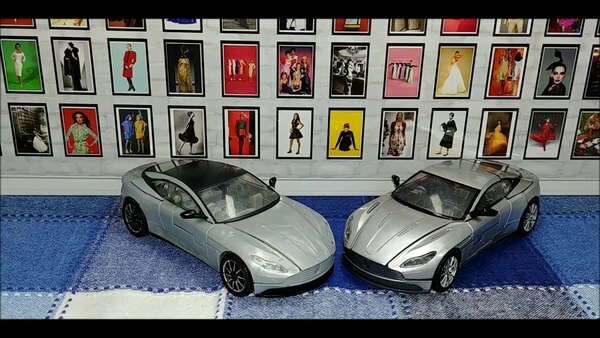 Hasbro Q2 Corporate Call - Cyberverse on Cartoon Network, Transformers 6, Bumblebee, More! 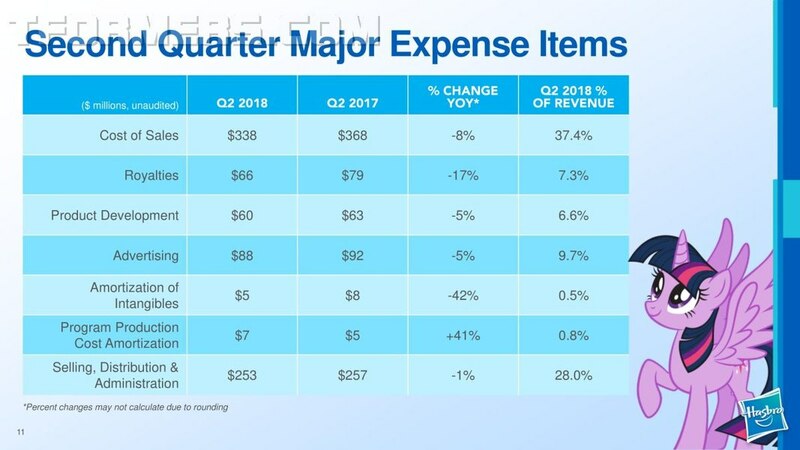 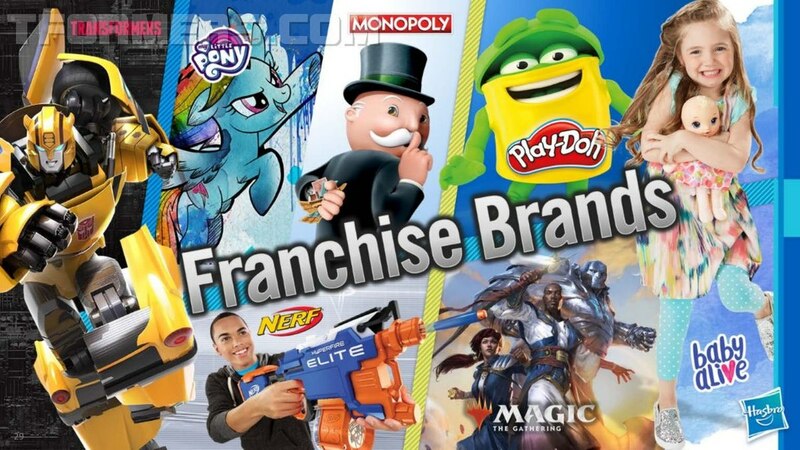 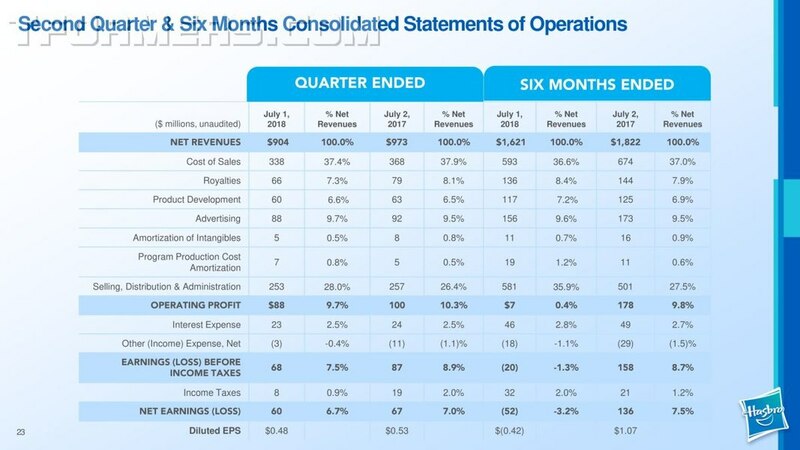 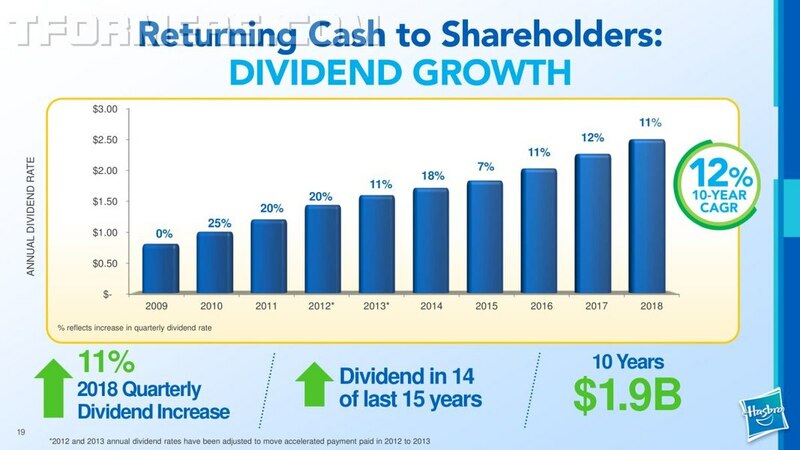 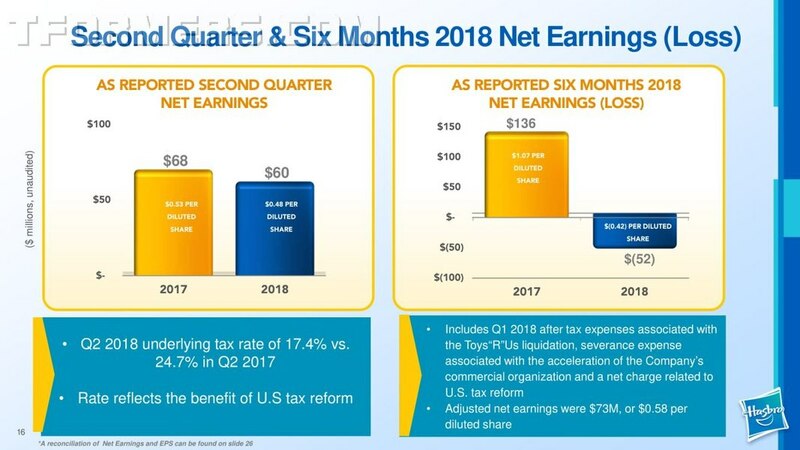 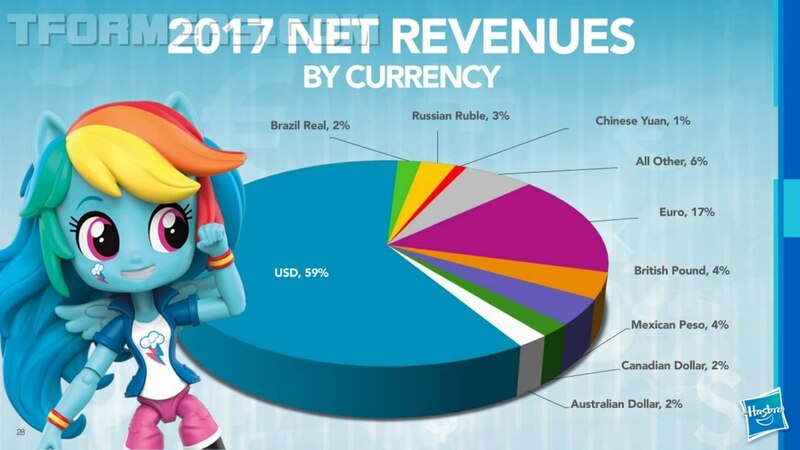 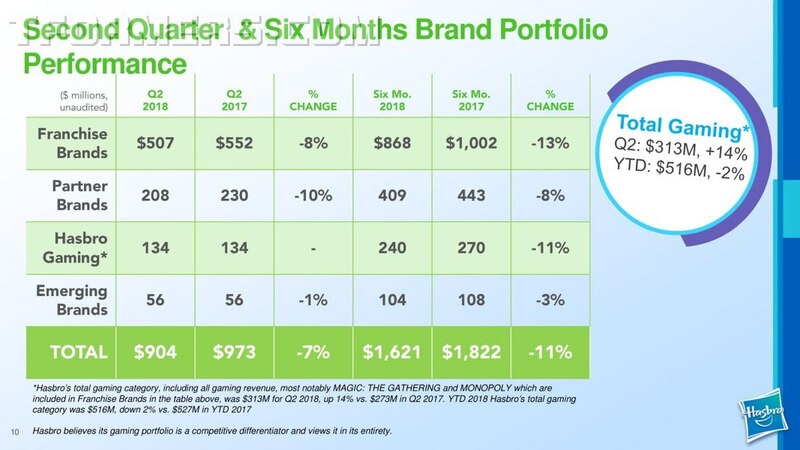 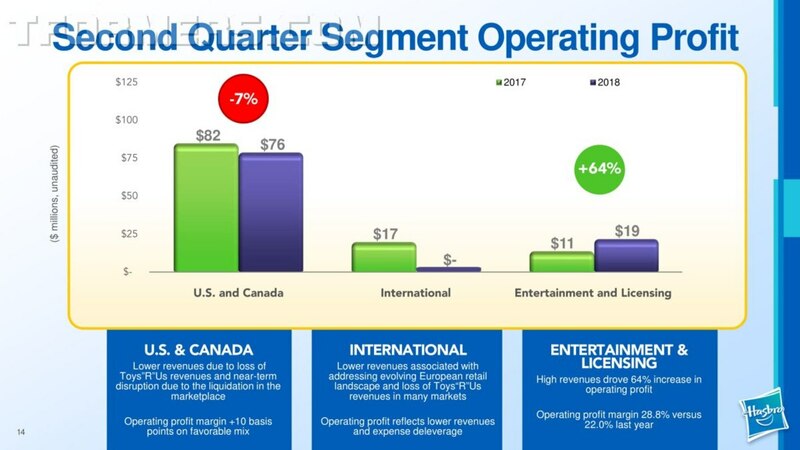 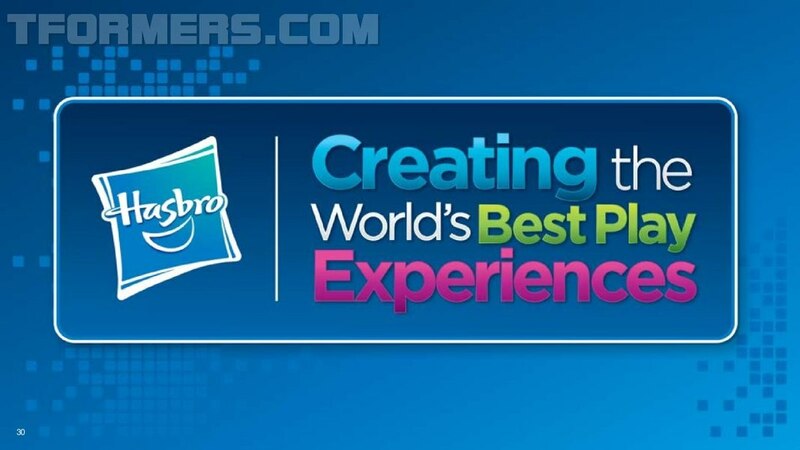 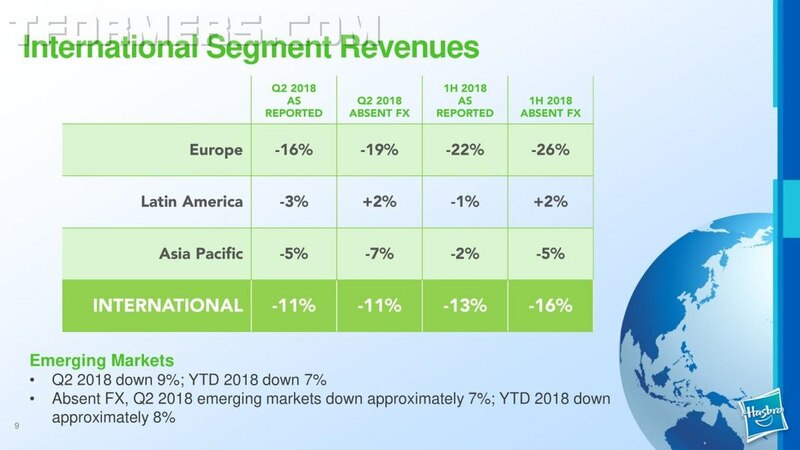 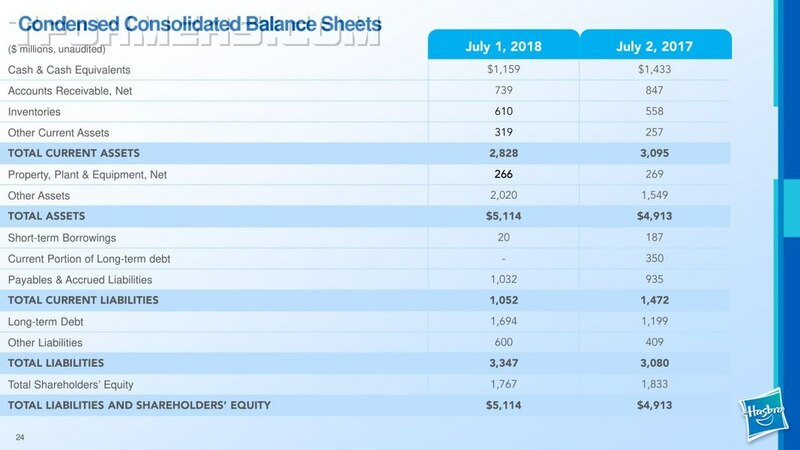 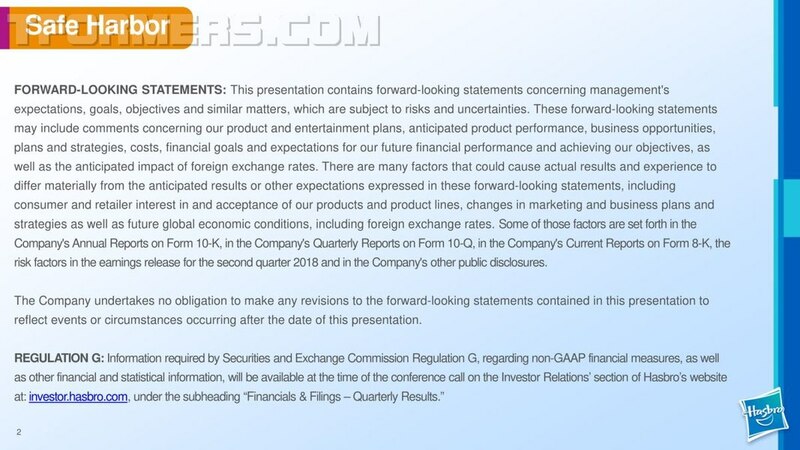 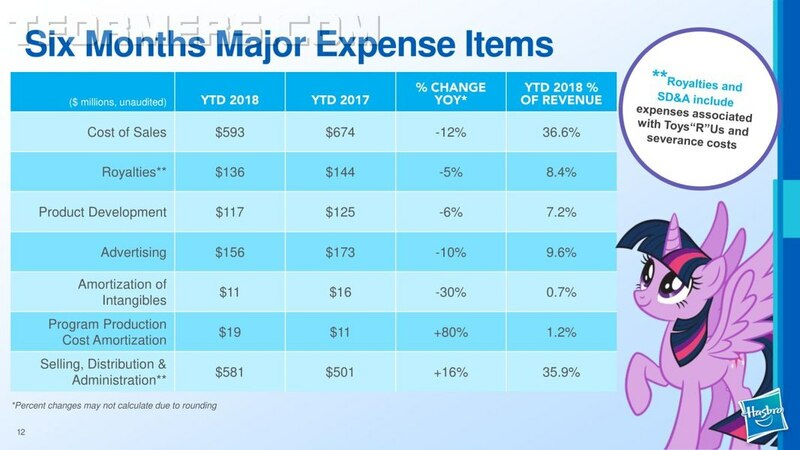 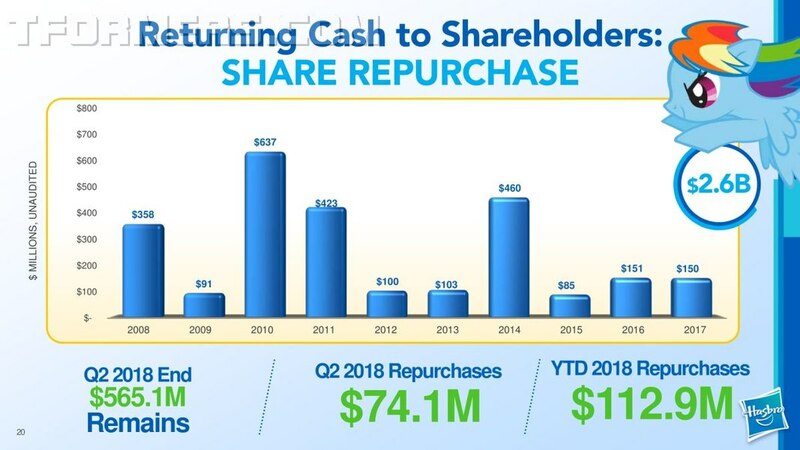 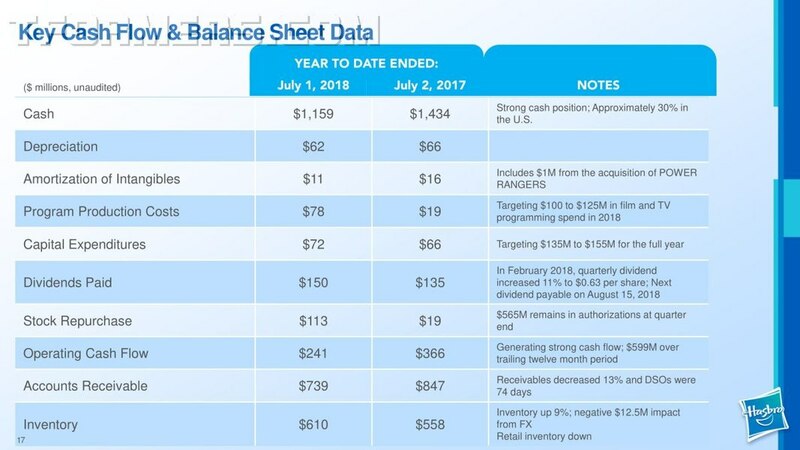 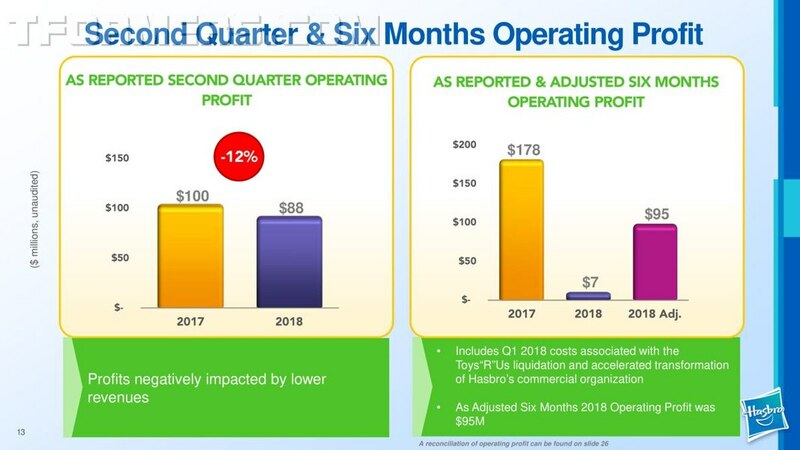 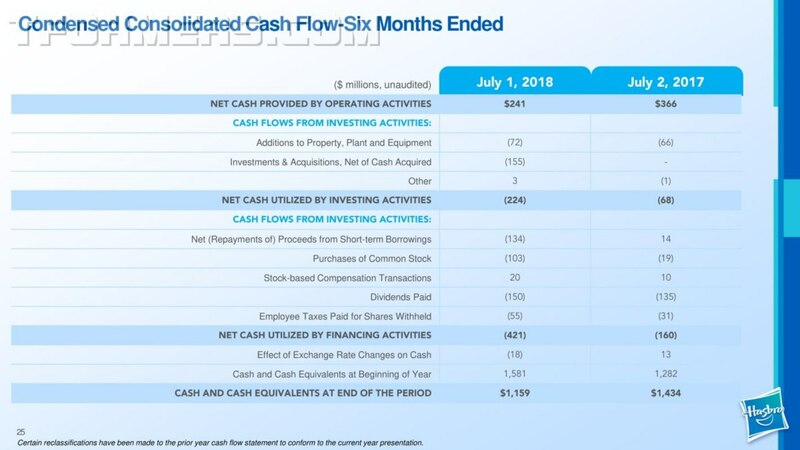 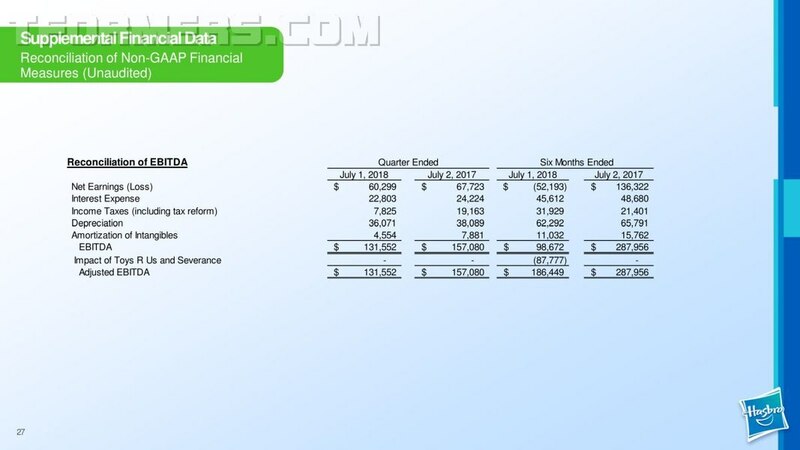 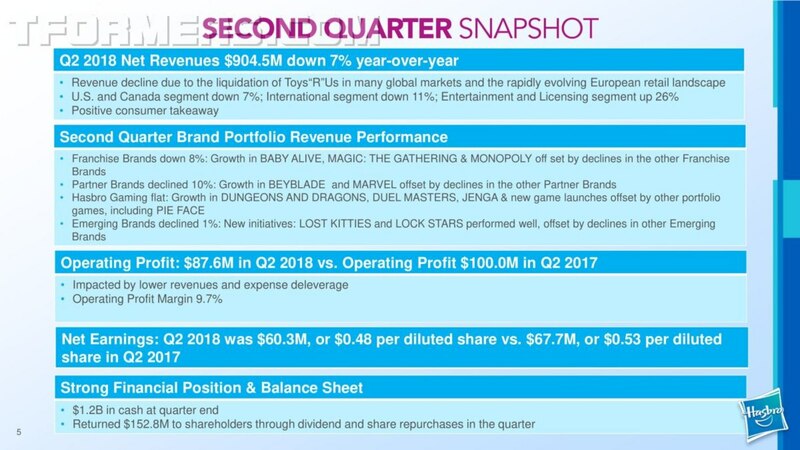 The Hasbro Second Quarter 2018 Financial Results Conference Call Management Remarks are just in and we've got the report on the corporate level details from Hasbro on their results. 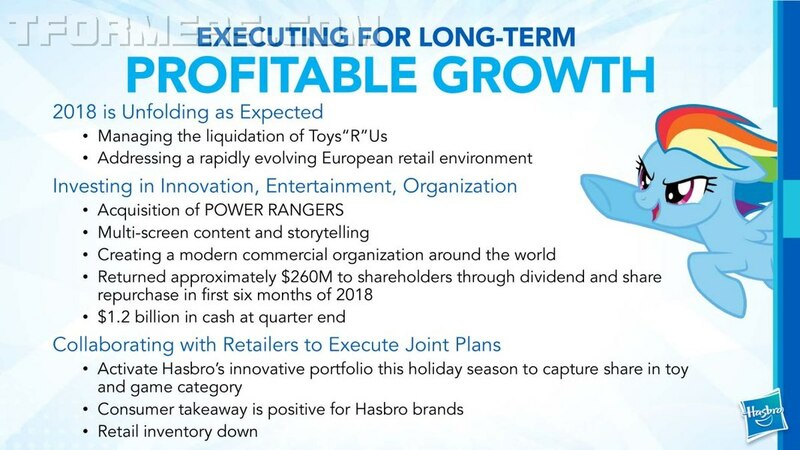 The good news is Hasbro has plenty in store with the new Transformers Cyberverse on Cartoon Network, The Bumblebee movie coming in December, and the word that Transformers 6 was slipped to give Bumblebee more focus while Paramount works on a new Transformers film opportunity. 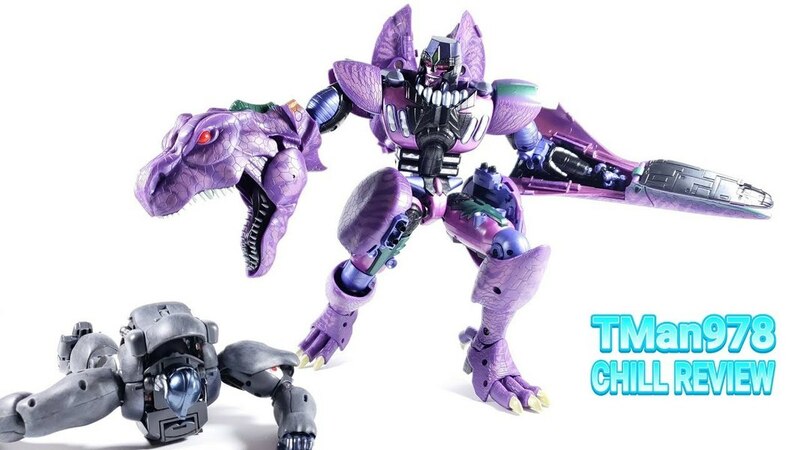 We continue to execute our multi-screen content strategy for TRANSFORMERS, with new product innovations supporting each of our unique stories. 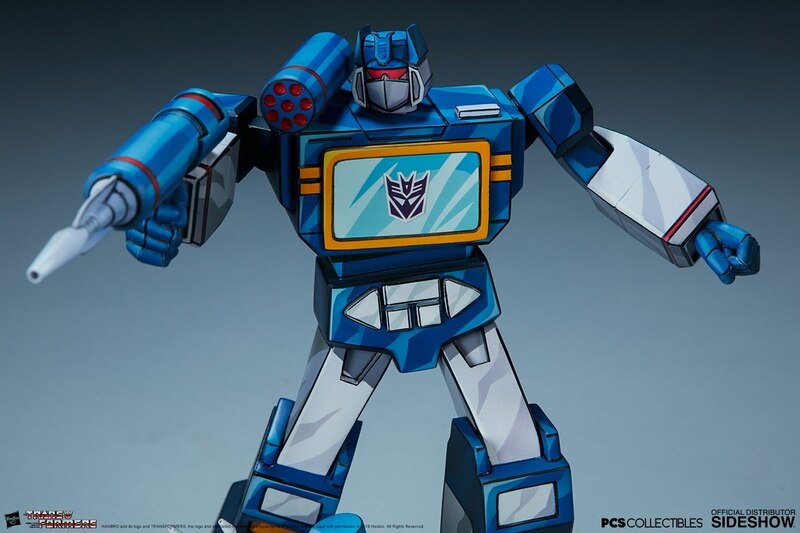 In addition to our feature film TRANSFORMERS BUMBLEBEE coming in December, we have a new kid-targeted animated series, Transformers Cyberverse, this Fall airing on Cartoon Network. 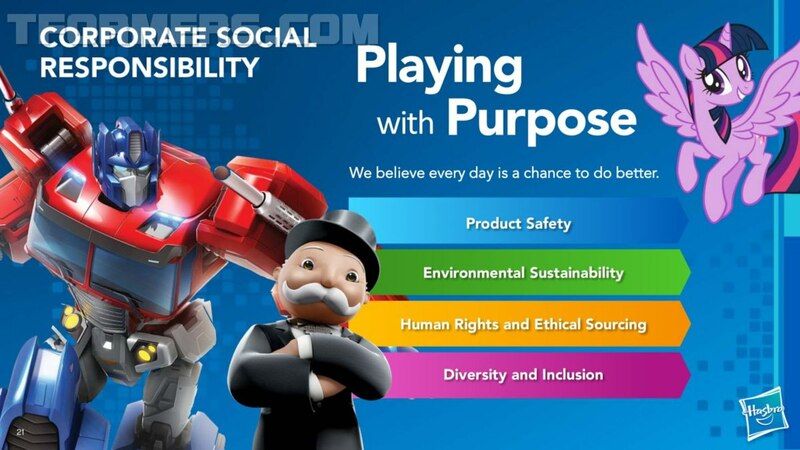 We also continue with our fan-targeted Power of the Prime series and preschool targeted Rescue Bots series with all new content and product innovation. 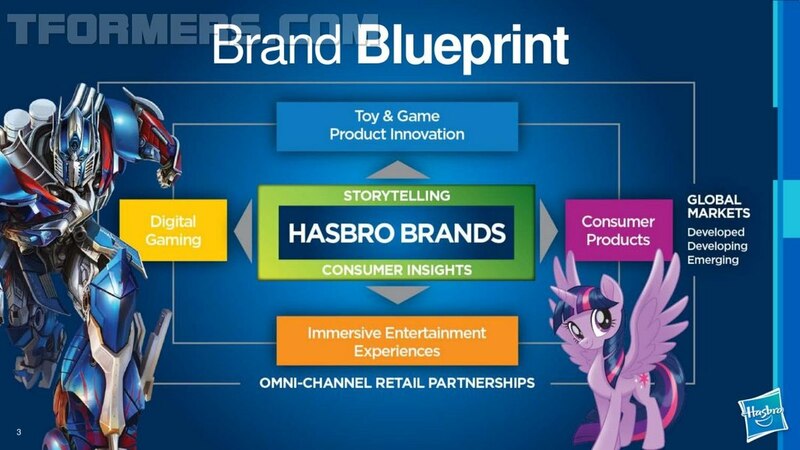 Our animation studio is producing both the TRANSFORMERS CYBERVERSE and RESCUE BOTS series. 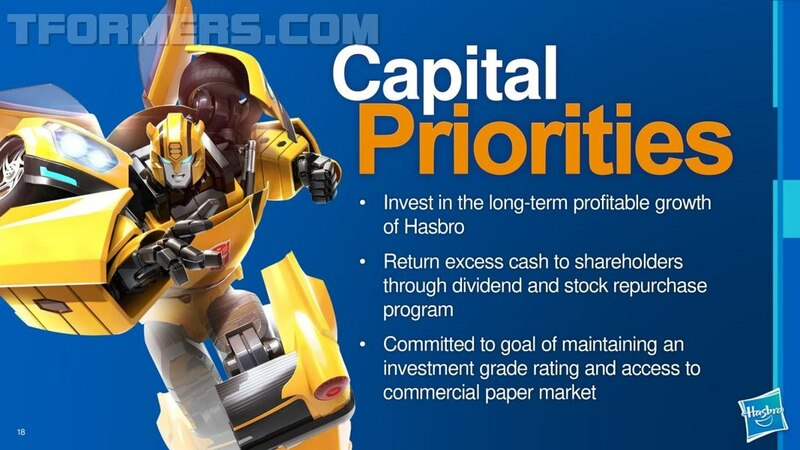 Paramount and Hasbro’s Allspark Pictures are exploring dates for future films in support of the TRANSFORMERS franchise. 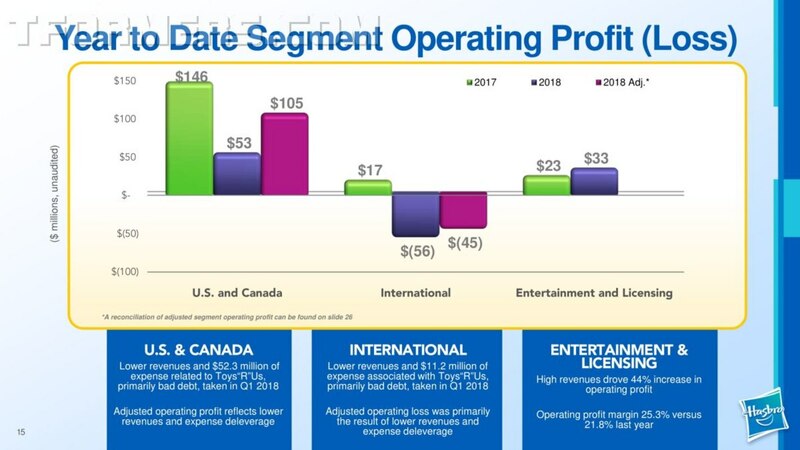 The shift from 2019 to a later date was driven by the final timing of the Bumblebee film’s theatrical release this December and the home entertainment window which takes place in 2019. 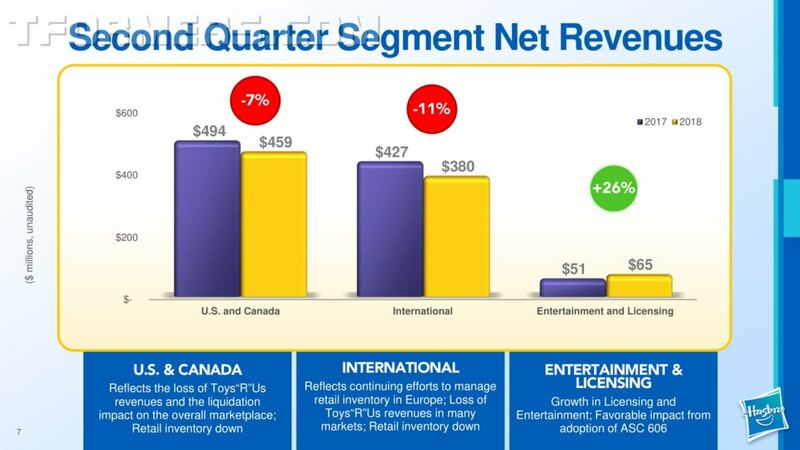 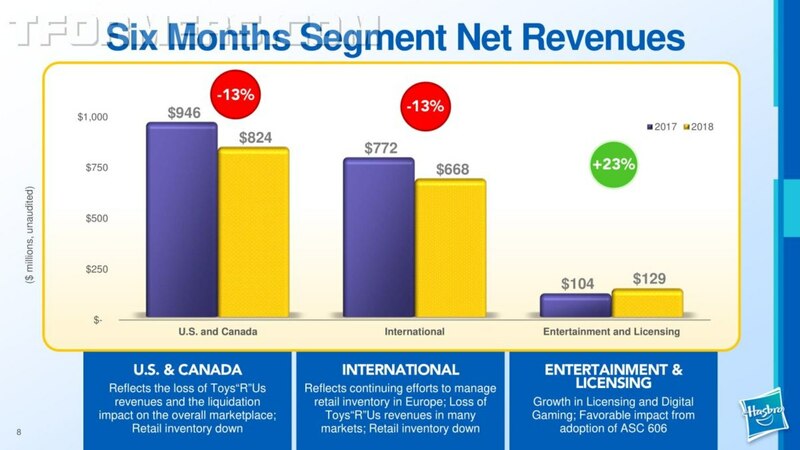 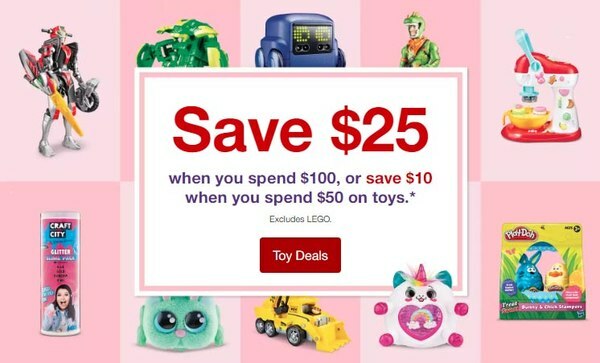 In Asia Pacific, we were cautious with how we shipped to Toys “R” Us Asia, but we continue working with them. 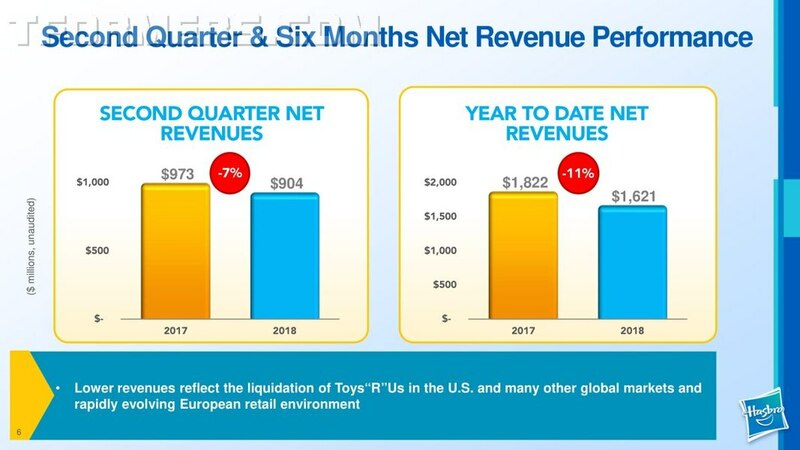 In Australia the retailer shut down in June. 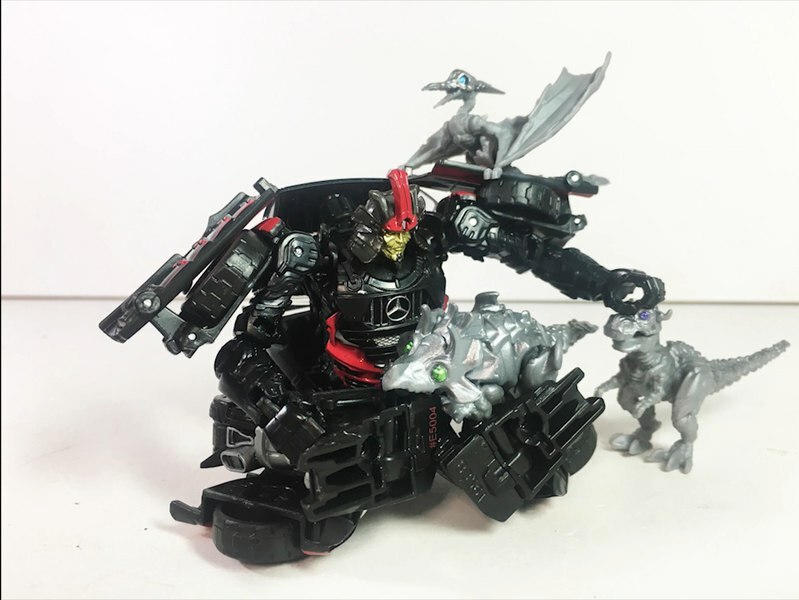 This region also faced difficult comparisons with last year’s TRANSFORMERS movie, as this franchise has a very strong heritage in Asia. 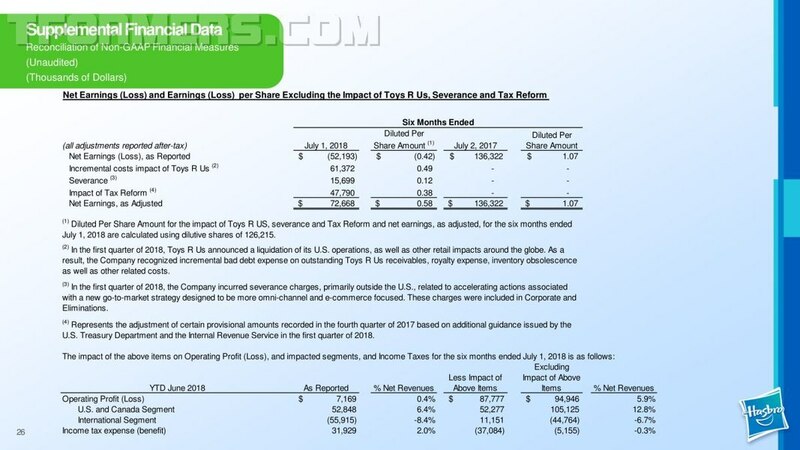 Currency had a favorable $2.0 million dollar revenue impact in the region.